Things have started to return to normal in Brett’s life, and he’s happily participating in a practical joke competition with Poppy and Joe. But when Joe goes missing, Brett wonders if it’s just his next joke, or something more serious. And then they discover the crater. Another portal has opened, and Brett and Poppy have to jump in to find their friend. This time, they are taken to a desert, into a world that they believed only existed in stories, to a city that is doomed. But they find Joe, who is fearlessly helping them survive as an evil villain cuts off their supplies. Brett and Poppy join in, teaching the residents of the city the elements of crafting potions. But even armed with this new knowledge, they worry that it would be enough to save the city. 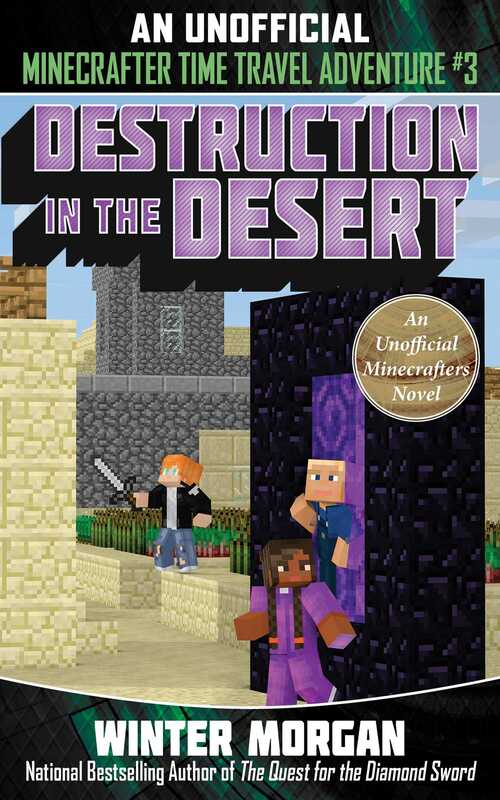 Join Brett and his friends as they work to save the Desert City in the third installment of the Unofficial Minecrafters Time Travel Adventure series from bestselling author Winter Morgan!